Jurors are deliberating in the gender-discrimination case against venture-capital firm Kleiner Perkins. While we wait for a verdict, which could come before week’s end, here are some important lessons gleaned from the proceedings. Closing arguments in the gender-discrimination case against the venture-capital firm Kleiner Perkins Caufield & Byers ended Wednesday. 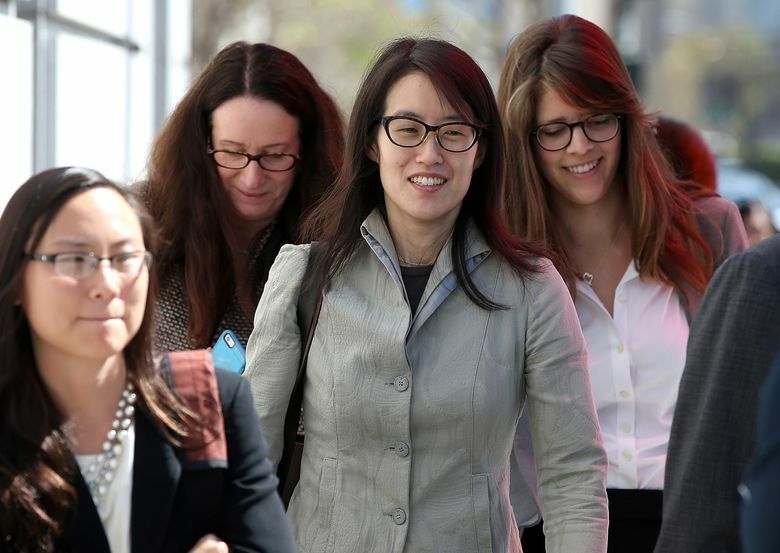 Jurors are deliberating and will soon decide if gender was a significant factor in the decision not to promote and eventually to fire former junior partner Ellen Pao. Silicon Valley, to put it bluntly, is captivated. The case has pierced through the typically dull conversational haze around smartphone penetration and software disruption and touched on more sensational topics, such as the messy breakup of an interoffice romance and the uncomfortable idea that an industry that preaches meritocracy might instead be a hotbed of bias. Regardless of the outcome, important lessons can already be gleaned from the proceedings. While we wait for a verdict, which could come before week’s end, they’re worth considering. Kleiner Perkins didn’t have an internal human-resource department or clear policies around hiring and firing. The firm, with around 40 partners, said it was too small to need such an internal function; partners referred to themselves as a family that sorted out its business informally. They are now paying the price. Pao’s attorneys pointed to a lack of clear guidelines around the improper conduct of a male employee and argued it contributed to a delay in firing him. The firm also could have benefited from clearer ways to communicate to junior employees about their prospects for advancement. Pao presented herself as waiting for a promotion that never came. Venture capital is a boys club. Only 6 percent of VC investors are women, down from 10 percent in 1999, according to a 2014 study out of Babson College. (At Kleiner, 20 percent of the partners are women.) Studies repeatedly show that a diverse workforce with evenly balanced leadership committees make better decisions. At the time of some of the alleged conduct, the operating committee at Kleiner was mostly men over the age of 60. Not surprisingly, they missed some early opportunities to stop the case before it metastasized into the current imbroglio. Plus, companies are now voluntarily releasing annual diversity reports and are held publicly accountable by employees and outsiders for their numbers. Fostering a balanced workforce and leadership team blunts potential outside criticism and is the best way to avoid lawsuits like the Pao case. It’s also the right thing to do. Pao’s lawyers have largely asserted she was the victim of the kind of subconscious bias frequently discussed by Facebook Chief Operating Officer Sheryl Sandberg, author of “Lean In.” Do women get assigned more of the office “housework,” such as taking notes in meetings? Do people favor qualities in men (hard-driving, sharp focus) while penalizing the same behavior in women? As Pao’s lawyer asserted in closing arguments, negative factors in her performance review, such as that she could be too aggressive and didn’t work well in a team, were also cited in the review of male junior partners — but the men got promoted. Bias in the workplace often takes more subtle forms than overt sexual harassment, and everyone should be aware of it. Here’s a lesson for prospective plaintiffs. Unlike class actions against investment banks and media companies, Ellen Pao stood alone in this case. Combined with some of the stranger elements of her personal story, this allowed Kleiner’s attorneys to target her character and question her motives. Pao has said there were other women at the firm, including three unnamed admins, who also expressed concerns about gender bias. Kleiner disputed this fact, and these unnamed colleagues didn’t join her on the stand. If other women had joined Pao’s case as co-plaintiffs or as part of a class action, she might have avoided some of the personal arguments that have come to define her case in the media and, perhaps, with jurors. Early in Apple’s history, Steve Jobs famously said he wanted to be a pirate instead of joining the navy. That attitude has defined the business community here ever since. The tech industry values disrupters who do everything differently and run their companies with a tenacious focus, at the expense of everything else. But look around the valley now, and all you see is the navy. This is now the business establishment. And that means the same set of rules — around treatment of employees, paying a fair share of taxes and yes, gender discrimination — are going to increasingly apply. It’s perhaps no accident that since the Pao trial started, new discrimination and harassment lawsuits have come against Facebook and Twitter. Companies everywhere are going to be held accountable for their employee’s actions.